First of all, the news. 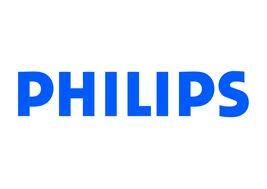 Discus Dental is now owned by Philips. Now the story. At the California Dental Association meeting in San Francisco in September. I got it on good authority by a couple of well placed anonymous sources that Discus was for sale and would soon be bought... by whom they weren't sure. It was between an unknown group of venture capitalists or Philips. The original post that I made was read by some folks involved in the discussions and I was asked to remove them and hold the info for later. Apparently the negotiations were at a sensitive juncture all involved prefer they remained private. Out of respect for my friends at Discus I agreed. They were also gracious enough to tell me that I'd be the first to know when it was official. I hid the original post that was on my Facebook page, but hopefully you can read it here. Amsterdam, The Netherlands and Los Angeles, USA – Royal Philips Electronics (AEX: PHI, NYSE: PHG) announced today that it has agreed to acquire Discus Holdings Inc., the leading manufacturer of professional tooth whitening products. Through this acquisition Philips expands its oral healthcare portfolio, adding to Philips’ globally leading Sonicare electric toothbrush business. Upon closing of the transaction, pending regulatory approvals and expected in the fourth quarter of 2010, Discus will become part of Philips’ Consumer Lifestyle sector’s Health and Wellness business. Financial details of the agreement were not disclosed. Professional tooth whitening involves the use of special compounds designed to penetrate the surface of the tooth and remove stains in both dentin and enamel. Discus’ portfolio includes products such as Zoom and BriteSmile, two widely recognized light-activated whitening systems used by dental professionals worldwide, as well as a range of take-home whiteners that are sold under dental supervision. In addition, Discus’ oral care portfolio provides dental professionals and their patients a wide range of treatment options for sensitivity relief, caries prevention, gingivitis, breath management, oral ulcer relief and other dental care. “Over two decades, Discus built a global dental products company while introducing some of the most recognized brands in dentistry. Millions of consumers have benefited from the whiter, brighter smiles created by our products,” said Steve Semmelmayer, CEO of Discus Holdings, Inc. “Merging with Philips will bring significant growth opportunities for Discus products with unprecedented reach and scope. We are excited about becoming part of the Philips global organization,” said Dr. William Dorfman, Discus’ founder. Founded in California in 1989 and headquartered in Los Angeles, USA, Discus is a privately held company that employs approximately 400 people and has a distribution presence in over 100 countries. Discus has annual sales of around EUR 100 million of which approximately one-third is generated outside of North America. Great article about how we can all save some money... a little here, a little there. A penny saved is a penny earned! We are all literally "nickle and dime"-ing ourselves out of a lot of money each year. Thanks for showing us the light. Pogoplug Pro Now in Black, Oh and with Wifi too! Stop by the Gendex Booth at the ADA Meeting!